In Search of Bobby Fischer... - Always Care! *	Inductive reasoning involves going from a series of specific cases to a general statement. 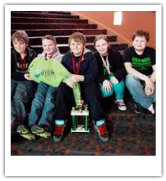 STEM ACADEMY CAPTURES 2013 WSCF STATE CHAMPIONSHIP! Check out these highly recommended tournaments! Dec 7 Parkview Middle School Ashwaubenon This tournament has been cancelled! Feb 1 Discovery World Milwaukee Map it! Feb 15 Kohler Public Schools Kolher Map it! Click on the links below for activities and lessons! Tactics / Strategy (Click here)Strategies! Tactics!